Carlijn Remie was born in Sittard, the Netherlands, on 12th March 1991. In 2009 she started the Bachelor Nutrition and Dietetics at the HAN University of Applied Sciences in Nijmegen, with the specialisation Clinical Nutrition. During her internship as a clinical dietitian in the Maastricht University Medical Centre (AZM) she realized that her major interest lies in research. After completing her Bachelor degree in 2013 she started the Master Nutrition and Health at the Wageningen University. 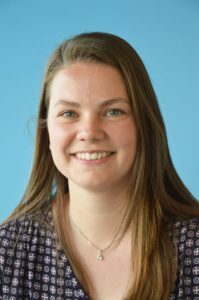 During her thesis, under supervision of Dr. Arie Nieuwenhuizen at the Department of Human and Animal Physiology of Wageningen University, she investigated the effect of L-carnitine supplementation on the acute response to hypoxia in female subjects. After finishing her MSc thesis Carlijn did an internship at the University of Copenhagen, Denmark, at the department of Biomedical Sciences (Xlab), in the research group of Prof. Flemming Dela and Prof. Jorn Wulff Helge. Her research project included the investigation of intermittent fasting on muscle lipid accumulation in type 2 diabetic patients. In August 2015, Carlijn received her Master Degree in Nutrition and Health with the specialisation Molecular Nutrition and Toxicology. In October 2015, she started her PhD at the department of Human Biology under supervision of Prof. Patrick Schrauwen. During her PhD, Carlijn will focus on muscle mitochondria in relation to insulin sensitivity and risk factors for cardiovascular diseases.